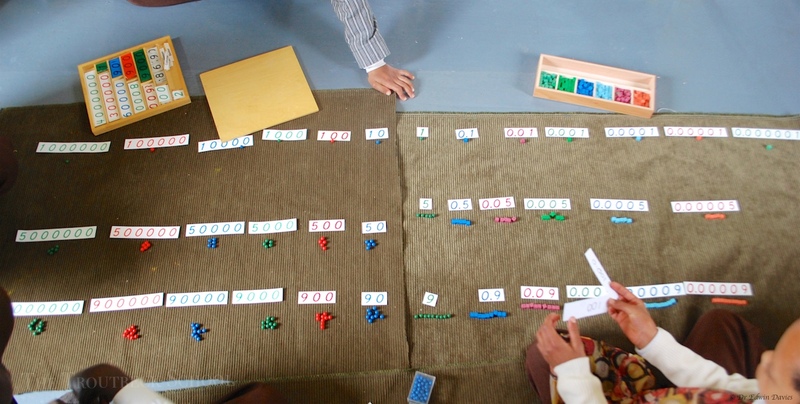 Learning about decimal fractions becomes a whole lot easier with the Montessori division materials. 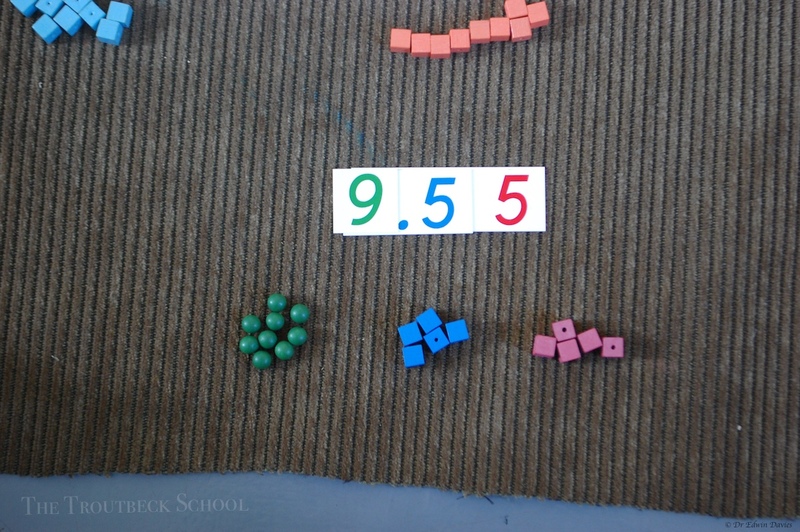 We set them up initial with our bead material and decimal cubes from 1 million down to 1 millionth. 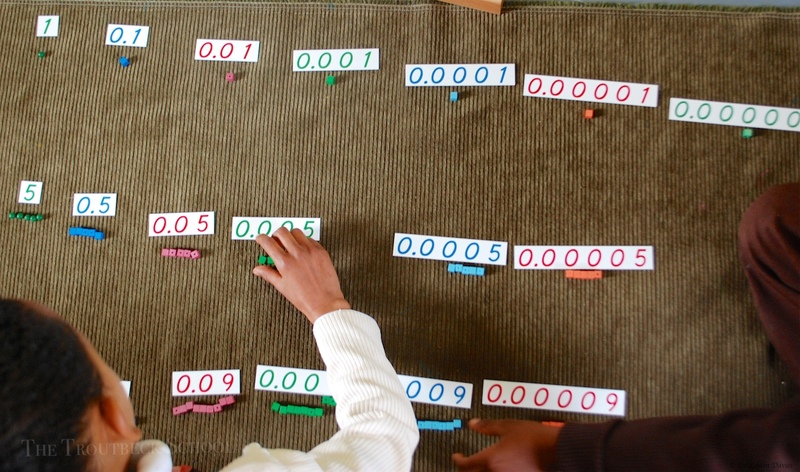 Here below the we see the green unit bead on the left and fraction cubes down to 0.000001. Learning to understand how the material works and what each cube represents.